Thinking About Ddos Attack Protection? 4 Reasons Why It’s Time To Stop! DDoS(Denial of Distributed Service) attack is a type of cyber attack that involves a large number of computers and huge volumes of traffic to overwhelm a server or network, slowing it or rendering it completely unresponsive. Victims of a DDoS attack consist of both the end targeted system and all systems maliciously used and controlled by the hacker in the distributed attack. Suppose if your website can handle say 10000 user requests per second, and if a single attacker or a team starts sending 10000 fake requests per second, all your legitimate users will be blocked and site will become inaccessible to the authentic users. Thus, every company having a website- especially the one that caters to customer needs with sensitive information over the internet must take immediate and apt steps to prepare themselves against DoS and DDoS attacks strongly. Failure to do so can result into a huge loss financially as well as can cause a really bad reputation. Few of the recent DDoS attacks 2016 has made Twitter to Donald Trump Election Campaign suffer. If you are running your own servers, you need to identify the DDoS attack as early as possible. 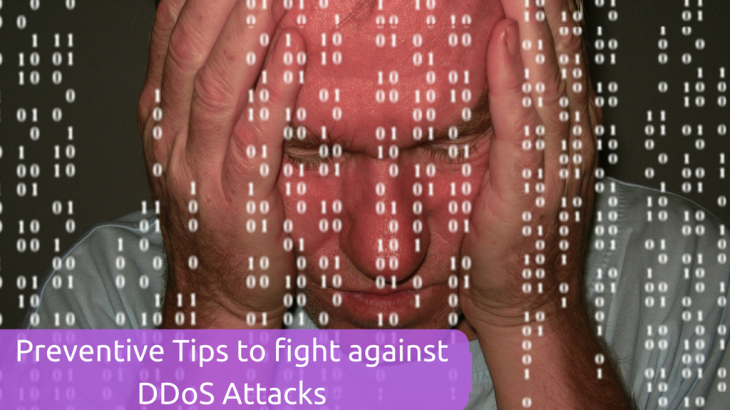 The sooner you detect a DDoS attack, the sooner you can start taking measures about it and can prevent maximum harm. To be able to do this as quickly as possible, it is very important to know your normal inbound traffic profiles; the better you know about your legitimate traffic the easier it is to spot a sudden difference in the inbound traffic. DDoS Automated mitigation tools are used to detect a sharp spike in traffic. These tools can easily differentiate between sudden increase in legitimate users’ traffic and start of a DDoS attack and then deflect the illegitimate traffic to their tools. If we can detect packets belonging to an attack and just drop them at the network layer, the chances of DDoS are reduced by great amount. Network Layer Defenses can be enabled by firewalls, intrusion detection and prevention systems, and general networking elements like switches and routers with security features enabled. At the network edge, all the traffic can be monitored, especially for SYN floods (synchronization packets sent to each port on your server with fake IPs) and UDP floods and can be filtered out at that point itself. Mechanism to automatically dropping any packets without application payload will be useful. Include setup for filtering unnecessary traffic with router blackholing from the network itself. For example if the business has no need of UDP traffic, all of it can be blocked. It makes sense to provide more bandwidth than it is ever going to be used by your application. This will also help in cases of DDoS Attacks. The extra bandwidth cannot stop the DDoS attacks but can buy you time for handling the attack and hence can delay the side effects of DDoS attack until a certain period of time, in which other preventional measures can be applied in order to getting rid of it. Your website will stay online for a longer time even when under an attack, which will prevent business losses as well as no harm to the reputation would be caused. It is a best practice to appoint a team with a leader in your company well ahead of time for handling DDoS attack anytime in case it occurs. This will help work flow smoothly in case of occurrence of any such attack. While choosing your ISP, inquire with them if they provide with any DDoS protective services. You can take into consideration if you want to setup a backup ISP in the event of such an attack for keeping the business running smoothly. There are many DDoS attacks which can be detected and prevented from the ISP side itself. Thus, while choosing your ISP considering options which provides such protection is a wise decision for your business. DDoS attacks are destructive weapons for your business. Hence it is very essential to take DdoS Attack Protection steps before they actually take place in order to prevent possible business losses and to maintain your secure business reputation intact.